Comfortable – the GROHE Rapido T concealed thermostat equipped with GROHE TurboStat® this shower mixer ensures effortless precision and lifetime of maintenance-free comfort. 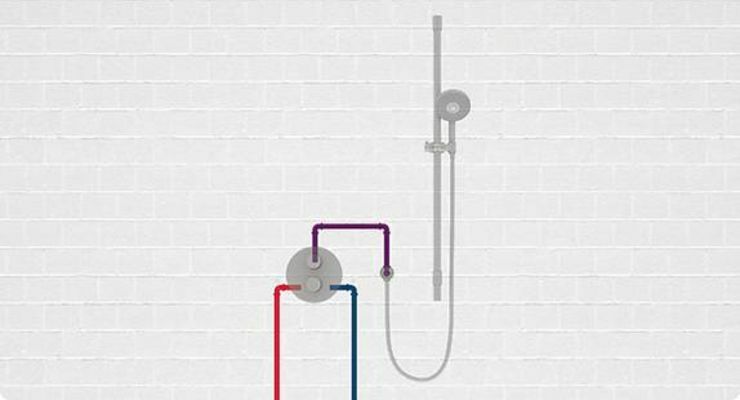 GROHE Rapido T concealed thermostat provides a flow rate of over 50 litres per minute at a pressure of 3 bar. Please observe the recommended installation height of the shower rail on table.